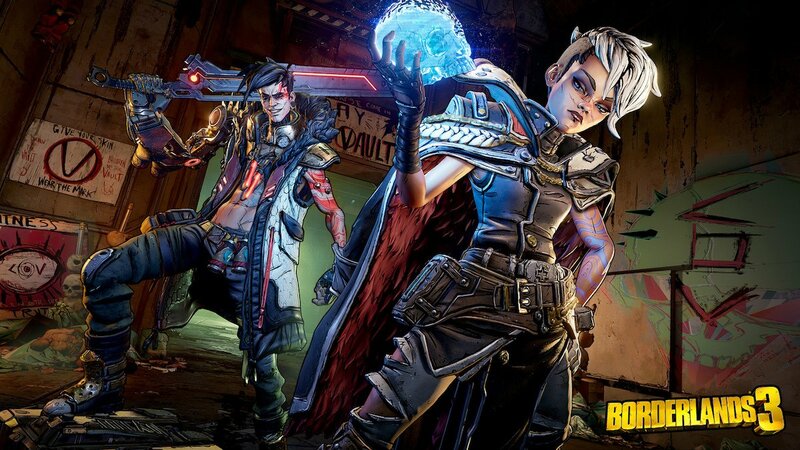 The Borderlands 3 release date is revealed, with the game debuting September 2019 and bringing new characters, villains, and more to eager fans. Vault Hunters will have plenty to celebrate this September, as Borderlands 3 is poised to drop later this year. The Vault Hunters include soldier Moze and her mech Iron Bear, Siren Amara, hitman Zane, and robot FL4K. Moze can hop into her mech whenever she's looking for more firepower, and Amara can summon fists to help pound her enemies into dust. Zane can "cause chaos" with his Digi-clone and set of gadgets, and FL4K is a wandering robot who has a variety of pets who do battle for them. Instead of facing off against Handsome Jack, who is no more, players will be fighting back the Calypso Twins, the pair uniting the bandit clans throughout the world and working to get their hands on the galaxy's "ultimate power." You and your Vault Hunter friends will have to use your unique abilities, skill trees, and weapons to make sure you keep them from doing that. Improvements have been made to co-op, such as individual loot streams for players, which are optional, as you can still play with the classic rules as well where loot is shared. It's a good thing, because there's a ton of new loot and gear. Classic manufacturers offer a wide variety of new items, like guns that fire tracker tags, volcanoes, and even guns that sprout legs and chase down your enemies while "verbally abusing them." There's a stupefying amount of guns in-game, with Gearbox saying there are "bazillions more" to come, not only on Pandora, but other planets throughout the Borderlands. Borderlands 3 will have an extended gameplay preview during its upcoming worldwide gameplay reveal event on May 1, but pre-orders have gone up today on PlayStation 4 and other platforms. It will be an Epic Games Store exclusive on PC. Right now, if you can't wait to get your Borderlands on, the Borderlands: Game of the Year Edition and Borderlands: The Handsome Collection are out right now, so you can get some looter shooting in before the newest game descends upon us. It's finally time! I look forward to picking it up in April of 2020, when I don't have to let the Chinese root around in my computer.